Holy cow! This knocked me out. 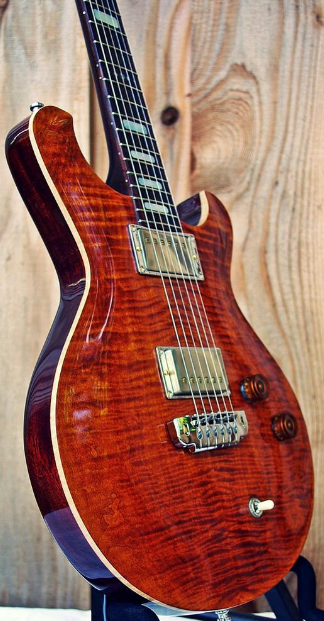 My next guitar and I have thought through the finish – I am very much ok with that. One of these will be my next guitar. I was very impressed by these guitars myself, and Russell seems to be a really great guy! You’ll like dealing with him! I have a Barron Wesley Alpha 003 with a natural Tun Oil finish. It’s just unbelievable!! It has almost eliminated my G.A.S! A friend of mine and bandmate just bought one a few weeks ago, and I had the chance to play it last Sunday. Very nice guitar, with a real ballsy overdrive, but gorgeous, sparkling cleans when you roll off the guitar volume. Nicely made guitar!